In this website, I wrote that there were only 404 kinds of diseases in Japan when I was a high school student. And there were only few kinds of treatment or simple medicines, mostly are Chinese herbs. I found one of them in the old Chinese medical book for influenza the use of botanical herb extracted from pine tree needle leaves which has the same components of Tamiflu (Roche's trademark) or Oseltamivir (scientific name) today. In fact, this is not the research I've done, but a memory when I was a kid 60 years ago. As a small boy, I can remember that my brothers and I were told to go to nearby forest to gather a female pine needle tree. We made a lot of things out of this pine tree we gathered. Also, I can remember that the pine tree was for epidemic influenza medicine, cigarette, pine-tea, and many others. Yes, these old folks knew something more than we have to realize. Today, we just cannot remember the passed. During and after the WWII, we used to live in the bottom of lifestyle we know today. During those time there were lack of work, shelter, water, food, and almost everything. We had no medicines at all especially for sick people. We had to create our own medicine from grasses and trees we could find at nearby forest. I remember that I collected a lot of grasses for our daily foods, too. I can remember that my parents and grandparents told me to gather fresh pine tree leaves especially female pine tree to make cigarette and pine tree tea. I wonder why use pine tree leaf. I made hundreds of cigarette out of pine tree leaves with my brothers and we went out to streets for selling the pine cigarette. I knew now that it was to prevent flu epidemic. I can still remember how pine tree leaves cigarette was made. 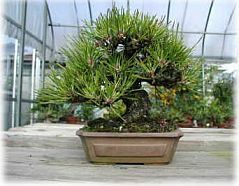 Although, the photos above are Bonzai pine trees, it is just to show you the difference between female and male pine tree. You know that most Christmas trees are from pine trees. 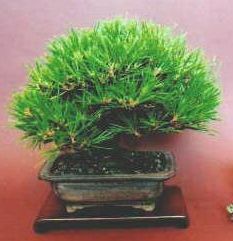 From left, shorter leaves with yellowish color is the female pine tree. At middle and the right side photo, longer leaves and sharper torns with greenish color are the male pine trees. 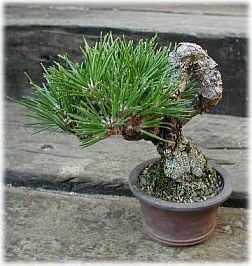 According to my parents and grandparents, female pine tree is more effective as medicine. When I was 17 years old, I left to Hong Kong, Taiwan and in mainland China. I lived there for about 6 years. And there I found cigarettes for asthma patients and cigarettes for children in Chinese drugstores as well as along the street market shifts. It stated that it is for prevention of epidemic flu and cold. Now, I can realize that these cigarettes were for influenza protection and was known since 4,600 years ago in China. Tamiflu is especially recognized to protect from Bird Flu Virus. China is the number one exporting country of pine tree leaves to US for the same reason. 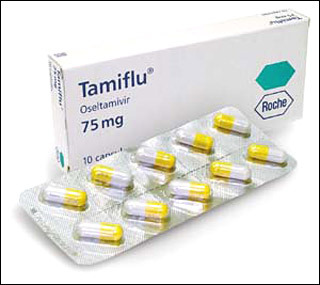 (Tamiflu) Oseltamivir is an antiviral drug used in the treatment and prophylaxis of both influenza A and influenza B. Like zanamivir, oseltamivir is a neuraminidase inhibitor, acting as a transition state, analogue inhibitor of influenza neuraminidase and thereby preventing new viruses from emerging from infected cells. Oseltamivir was the first orally active neuraminidase inhibitor commercially developed. 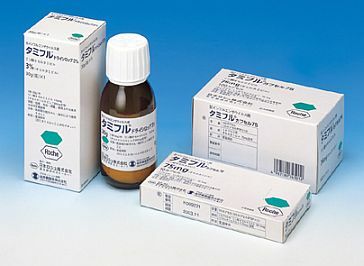 Oseltamivir is a prodrug usually administered as phosphate, it is hydrolysed hepatically to the active metabolite, the free carboxylate of oseltamivir. Oseltamivir was developed by Gilead Sciences and is currently marketed by Drug company Hoffmann-La Roche under the trade name Tamiflu. With increasing fears about the potential for a new influenza pandemic, oseltamivir has received substantial media attention. Production capacity is limited, and Japanese and American governments are stockpiling the drug. When Christmas season is over, what do you do with those Christmas trees (pine tree)? Don't you know that the needles of pine, spruce and fir trees contain a fairly high concentration of shikimic acid, the main ingredient in Tamiflu. Countries all over the world are stockpiling the drug in anticipation of a bird flu pandemic. Some companies in US and Canada are now processing thousands of those discarded pine tree (Christmas tree) to retrieve the acid. Acid extracted from needles seem to be used for cancer treatment, too. For producing this product by several companies are the trade secret and the patent. Here, I am going to teach you a simple way on how to make use of pine tree needle for medical use in Chinese way I've done 60 years ago. Although I did not do any clinical test and analyzing the properties of pine needle when it is used as herb for flu (influenza), asthma, and other related diseases. Once it is dried, you can keep it in the polybag, probably you can preserve it for 3 years. Now, it is a tasty pine herbal tea for flu-oriented diseases, asthma and others. It is a healthy tea for you. According to old folks in Japan, needle tea is good for prevention of aging.